Sacroiliac fusion surgery is used to stabilize deficient SI joints and provide pain relief for a wide range of causative diagnoses. SI joint fixation is the most common form of sacroiliac surgery, but is still rare compared to the incidence of nonsurgical treatment for most SIJ conditions. Joint fusion is an orthopedic specialty that is most famous in the spine (called spondylodesis), but can be used elsewhere to completely restrict movement in joints that suffer symptomatic activity when mobilized. SI joint fusion is less controversial than spinal fusion for many reasons and generally provides better results for most patients. However, the therapy is far from perfect and still demonstrates a diversity of negative considerations and risks. This patient guide provides a complete overview of SIJ fusion surgery. We will examine why the procedure is used, how it is performed and the results that can be expected postoperatively. Sacroiliac fixation surgery is performed for a wide range of diagnostic conclusions. In fact, all SIJ diagnoses can be treated with fusion and often are, if pain continues for an extended timeline. Fusion is most commonly associated with structural joint deterioration due to various forms of arthritis or injury which affect the mechanics of the joint surfaces. The joint might not move correctly or might express an organic fusion that is painful and possibly unstable. Fusion can also be performed in unresponsive cases of joint dysfunction caused by ligamentous issues, such as hypermobility or hypomobility. Hypermobile conditions can be stabilized using SI fixation, while painful hypomobile conditions can be fused into a less symptomatic configuration. Fusion is sometimes performed without the benefit of a verified diagnosis of the actual mechanism of pain. Remember that many cases of SI symptoms are idiopathic. In these circumstances, the procedure is the most controversial, since doctors are not even sure what exactly they are treating or why. Sacroiliac joint fixation surgery can be accomplished using several approaches to care. Virtually all modern techniques are minimally invasive and only require small incisions in the body in order to reach the SI joint. Traditional tissue dissection procedures might be utilized in areas of limited medical development or in areas where the technology to accomplish minimally invasive fixation is not available. Generally, one or more small incisions will be made is a location that provides excellent accessibility to the frontier between the sacrum and pelvic ilium. Catheter-based surgical tools are used through this incision to bind the 2 surfaces together. Once the surfaces are fused, the surgical tools are removed from the anatomy and the small incision(s) are closed at various levels with sutures, staples or other modalities. Actual fusion can be accomplished using bone grafts that are harvested from the patient, taken for a cadaver or simulated using synthetic bone substitute. 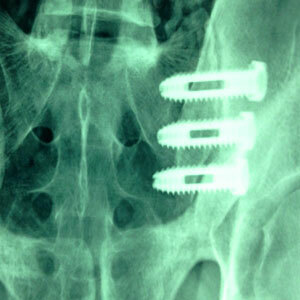 Most often there will be hardware reinforcement of these fusion using screws, plates or other fixation methods. Some of these fixation devices are temporary and will be removed when the fusion heals to form an organic bone bond. Other fixation methods will be left in place permanently to secure the fusion long-term and provide added strength to the bond. There are also fusion systems that bypass organic fusion altogether, relying solely on hardware-based fixation techniques. There is much debate about the best type of sacroiliac fusion, explaining why there are so many products, systems and approaches available to surgeons. Many doctors choose their procedural preference based on the financial incentives they receive from a sponsor company, rather than any other single factor, so always shop your options carefully. SI joint fusion provides mixed results, but most patients fare relatively well with the process. Certainly SIJ fixation is far more effective and features fewer complications than spinal fusion. 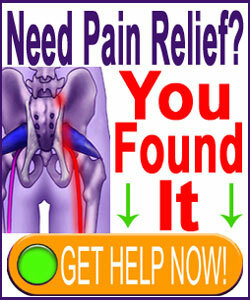 Most patients will enjoy marked pain relief after full healing (which may take up to 1 year). Most patients will also enjoy improved physical functionality, although some will be permanently restricted from performing some types of activities due to the risk of damaging the more fragile joint bond. Fusion seems to work best when joint instability is verified prior to the operation. It tends to provide the very best outcomes for various forms of degenerative joint problems and hypermobility conditions. Hypomobility problems often need to be addressed by fracturing the current organic fusion and resting the joint to a more stable position. This is controversial and can yield mixed results. General risks of sacroiliac fusion surgery include anesthetic complications, blood loss (rare), infection (relatively commonplace) and systemic stress that might enact collateral effects on the heart, lungs or brain. Specific procedural risks include the relatively high rate of problems with the joint actually fusing. This is most often seen in techniques that utilize bone grafts as the primary bond. Many simply will not fuse after up to a year of painful healing and need to be re-operated. Hardware-based fusions adhere better, but can become unstable when the reinforcing hardware is removed. This is why so many doctors prefer hardware assistance that will remain in place and not require subsequent removal surgery or the possibility of degrading the strength of the fusion once the hardware is absent. Any fusion can fracture at some point postoperatively, particularly under duress or trauma. This is why patients are usually carefully advised to restrict certain activities and might even have to relearn how to perform some basic life activities to be safe. Physical therapy is always a good idea following any sacroiliac joint fusion for many reasons, both to rehabilitate and re-educate the patient on the best ways of movement.